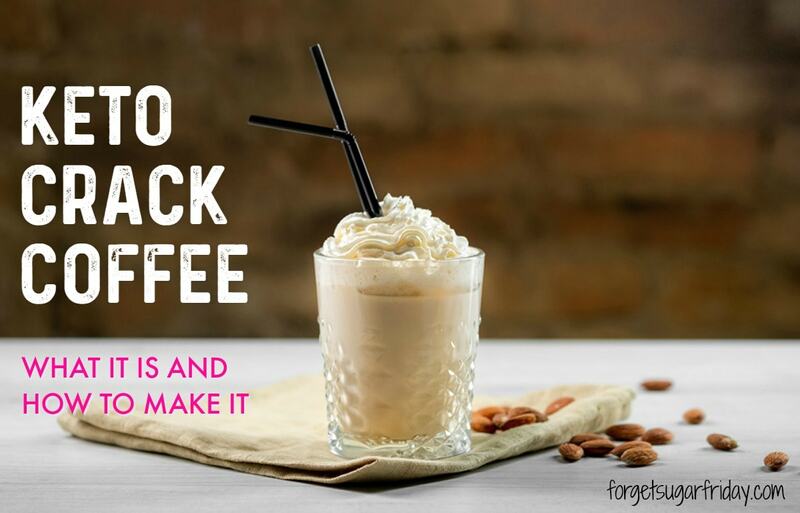 Keto Crack Coffee – A Must-Try Keto Coffee Recipe! 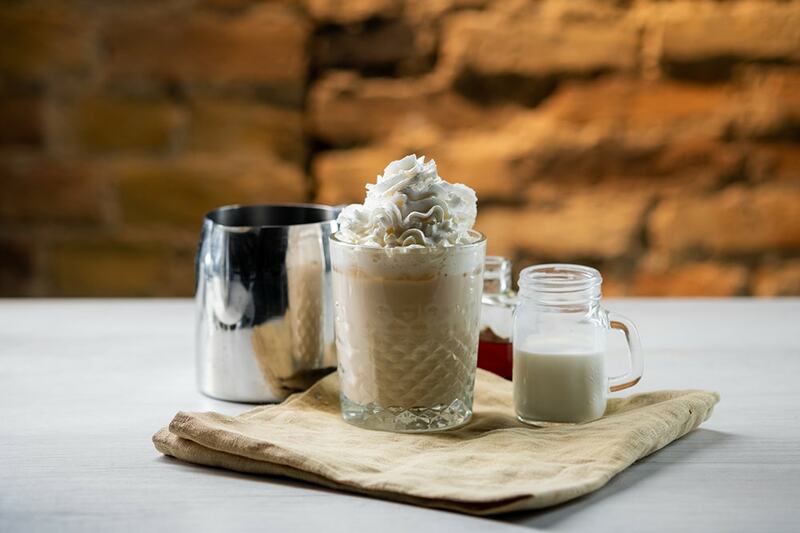 Keto Crack Coffee is a MUST-try keto coffee recipe that will get you seriously hoppin’ in the morning. You’re going to love this coffee! I like to joke with my boyfriend that he was “on the keto diet before Pinterest knew about the keto diet.” It’s probably true to some degree — he has been eating keto for several years… but didn’t know he was eating keto. Through his own nutrition research, he ended up adopting a high-fat, low-carb, moderate-protein diet and loves it. In this post, I’m going to share his FAVORITE keto coffee recipe that he has been making for a few years now (and I’ve started drinking too even though I’m not full-on keto). Now that his diet has a name, I’ve started calling it “Keto Crack Coffee.” This stuff will get you ROCKIN’ in the morning! It has some similarities to the super-popular Bulletproof Coffee, but Keto Crack Coffee has a few special ingredients that make it stand out. grab this at the store! This is the star of the show and a critical ingredient for Keto Crack Coffee. Death Wish Coffee is an awesome coffee that bills itself as “The World’s Strongest Coffee.” It’s also organic and fair-trade (oh, and really good!). MCT oil is loaded with healthy MCTs (medium-chain triglycerides), aka healthy fats. 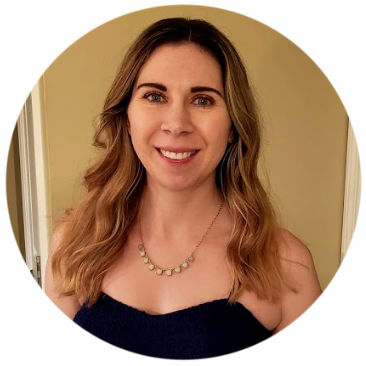 MCTs are a keto diet staple because you can put them in smoothies and coffee, on salads and veggies, etc. Use coupon code FORGETSUGARFRIDAY for 15% off your order! 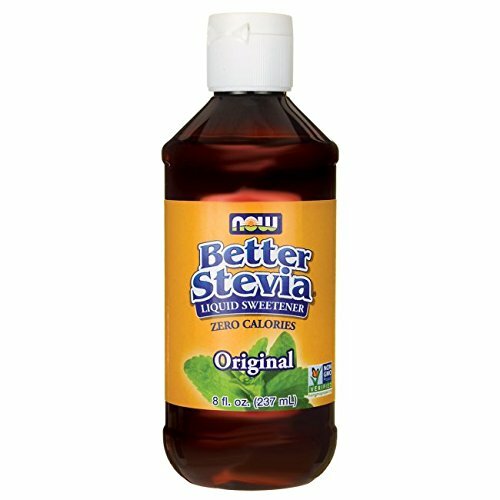 A convenient keto-friendly sweetener that has the best flavor of any liquid stevia I’ve tried (some are a bit iffy, but this one is great!). A nice vanilla extract with a good flavor. I also sometimes use Trader Joe’s Bourbon Vanilla Extract. It’s full of healthy fats to keep you full. It has a nice sweet vanilla flavor without being too strong. 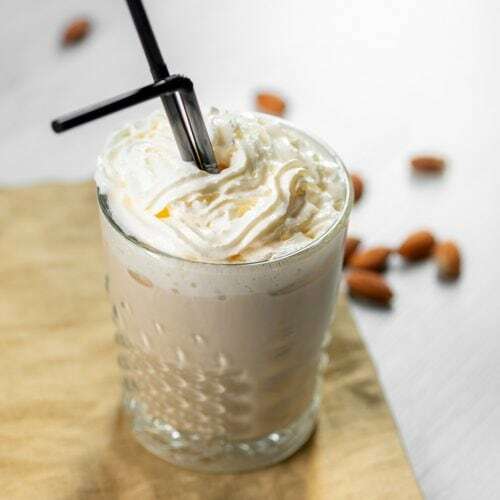 The almond milk-whipping cream combo is the perfect mixture for a smooth keto coffee treat. It’s absurdly easy to make. Want to Succeed on the Keto Diet? 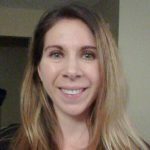 Join The Keto Living List (it's FREE!) to receive via email my weekly roundup of the best keto recipes and keto living tips, plus new keto recipes and posts when they're released! Success! You've successfully subscribed to The Keto Living List. Note that this is a chilled keto coffee drink. If you’d like, you can add ice and make it an iced coffee drink. I highly recommend serving Keto Crack Coffee with tasty keto fat bombs from my popular post with 33 must-try keto fat bombs. Or, with your favorite keto snack of choice like nuts. 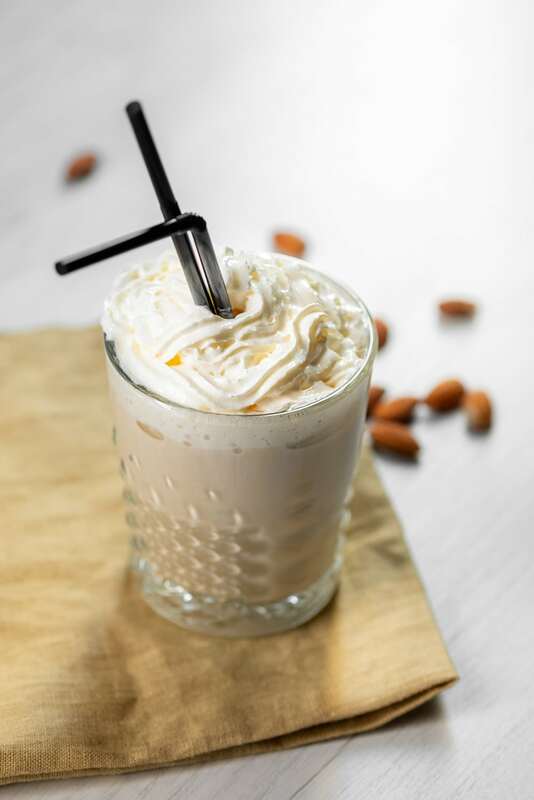 If you like this recipe, don’t forget to check out my Keto Iced Coffee recipe! 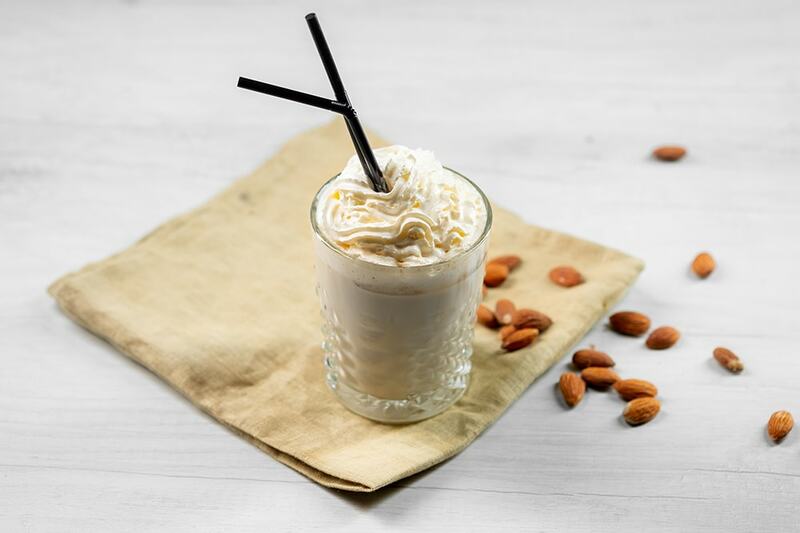 Like This Keto Coffee Recipe? Give it a Share! At the beginning of this post, I told you that this is my boyfriend’s keto coffee creation. I would love to see his creation go viral (just for fun! 🙂 ), so I would really appreciate it if you would give this post a share by using the social sharing icons. Thank you and I hope you love Keto Crack Coffee as much as we do! Recipe images updated in July 2018. This coffee will give you a serious energy boost! Brew and chill Death Wish Coffee. Add all ingredients to a coffee cup or glass. Using a small whisk or coffee frother, blend until well-combined. The MCT oil will float to the top; this is normal. 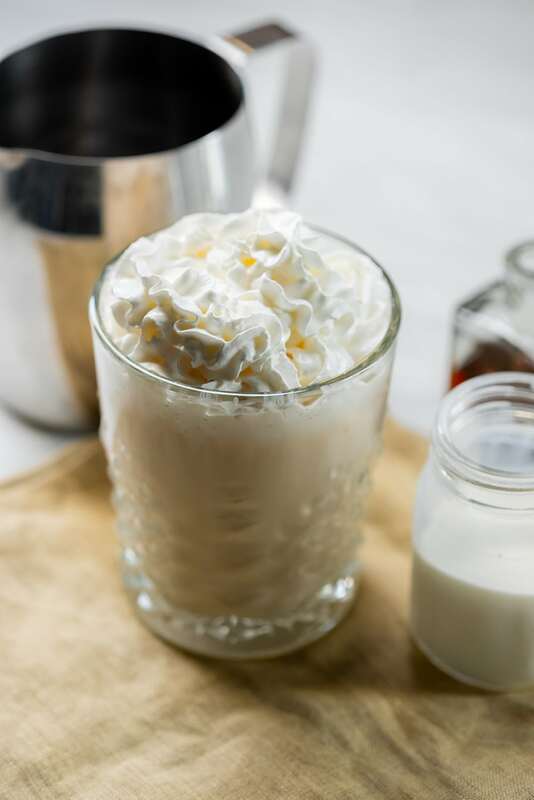 If you don't consume dairy, use nutpods Unsweetened Dairy-Free Creamer instead of the whipping cream. Nutrition facts do not include optional keto whipped cream. Additionally, they are based on 2 tsp MCT oil, so if you use more, you will need to take that into account. Where can i buy the death wish coffee? Hi Laura! Thanks for visiting. Do you have to use the death wish coffee? Using Death Wish Coffee will boost the caffeine content (hence the name :)) but you can make the recipe with the coffee of your choosing. I use a similar recipe for my coffee(I just couldn’t give it up!) but I like to imusify in my blender so the oil doesn’t float. 🙂 much more palatable. Hello my name is Tina. A year ago November I stopped smoking. Since then I have gained 50lbs. I have tried everything to lose weight. A friend told me to try keto. I was heavy to start with so the gain has me very unhappy with myself.. Do you have any advice for me to succeed? Hi Tina! I think keto would be great for you to try. I’m going to have some free information about a “keto reset” program later this month. If you’re signed up for my Keto Living List email list, you’ll be the first to hear about it. If you’re not signed up yet, let me know and I can add you. P.S. Congrats on quitting smoking — that is a huge achievement! How is MTCOil different than adding coconut oil and butter? Thanks. Hi Jeff! You can learn about the benefits of MCT oil here. Can you do this hot or does it ruin the flavor or texture? Hi Coby! You definitely can make it hot. Enjoy! Hey there, just recently found this recipe and my hubby & I have been big fans of DWC for a while now so I was super excited to try, definitely a new favorite and super easy to make! Looking forward to trying some more of your stuff! You should cold brew the deathwish coffee. Hi Nathan, Great idea! I haven’t tried that yet (I am soo behind on the cold brew train), but I know it produces better-tasting coffee + more caffeine. I will have to do it soon! If anyone else is interested, Death Wish has a cold brew tutorial on their site. How can the calorie count of this drink be 229 when MCT is 130/tsp and it calls for 2-3tsp? The math doesn’t add up, what am I missing here? Hi Susan! I’ve seen MCT oils labeled as 100-130 calories/tbsp (the one I use is 130 calories), but never 130 calories/tsp. If yours is labeled as 130 calories/tsp, it sounds like there may have been a labeling error. I would contact the manufacturer to verify. How do you chill the coffee? Would you recommend making a few days worth and storing it in the fridge for convenience? Hi Toyah! Yes, I just make a few days’ worth (no more than three to keep it fresh) in my coffee pot and then store it in a sealed container in the fridge until I’m ready to use it. I like using a Magic Bullet Blender and some collagen to give it a frothy top and great mouth feel. Great idea on the collagen + blender! That’s what I do when I mix Perfect Keto MCT oil powder into my coffee. It works great! I hate coffee. Could this be done with tea? I know the caffeine jolt wouldn’t be the same. Can you add ice cubes in Vitamix to make a frap? Hi Linda, Absolutely! That’s a great idea. Is there a super-strong tasting coffee that is decaf? I’m super sensitive to caffeine, and if I drank this, I wouldn’t sleep for a week! Hi Suzanne! You can just use your favorite decaf coffee. 🙂 Using Death Wish Coffee is more about the caffeine content rather than the flavor, so feel free to use whatever coffee works best for you. I drink DeathWish every day!!! It is soooo good. I buy mine direct from DW. Same price as Amazon. Love it!! I only have 1.5 lbs here… I’m feeling a little understocked! 😉 Glad to see another big fan. Would this work with MCT powder? How much would you use? Hi Kim! Yes it would. I would use a full scoop. Enjoy!